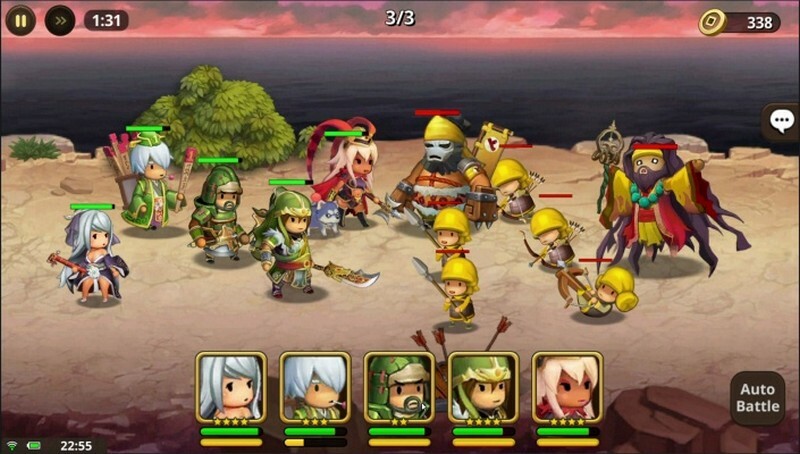 Kingdom Story: Brave Legion is a free-to-play mobile fantasy game developed by NHN Entertainment Corp. for Android devices. 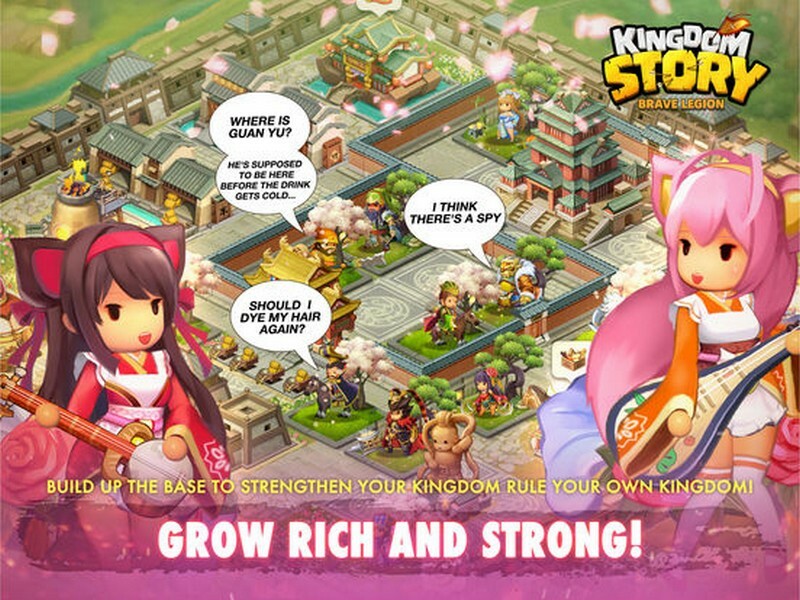 In Kingdom Story: Brave Legion players can experience a whimsical and entertaining take on the Romance of the Three Kingdoms like never before. 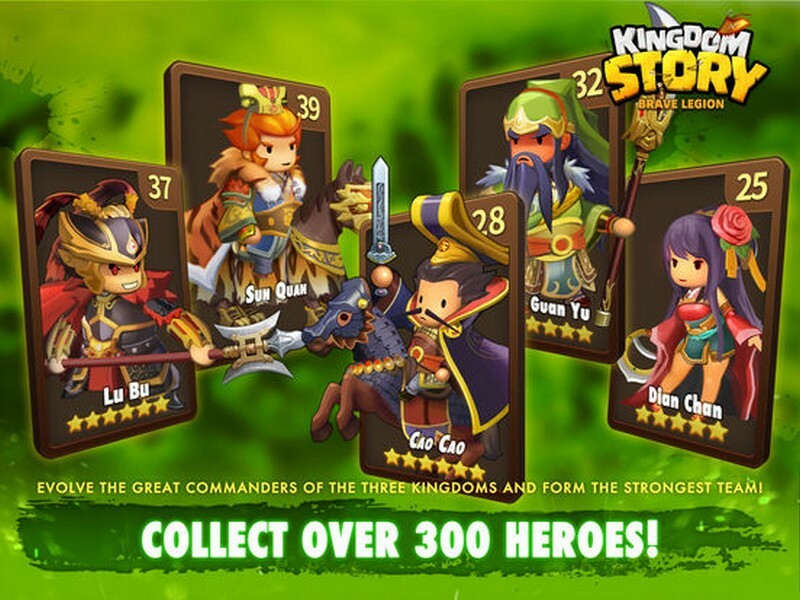 As you progress through the history of the Chinese Three Kingdoms you'll be able to collect numerous cool warriors while building your base from a small encampment to a powerful city. 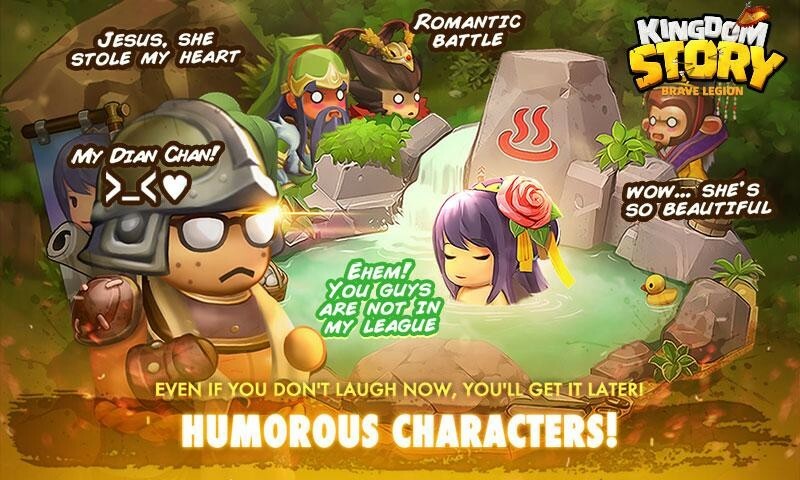 Are you ready for a Three Kingdoms experience like no other? 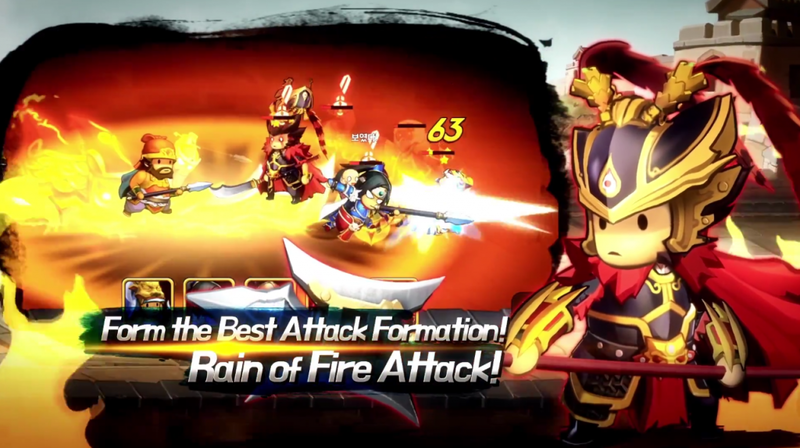 Three Kingdoms Storyline: Enjoy the timeless tale of the Romance of the Three Kingdoms. Learn how truly viscous Cao Cao is and experience the courageousness of the hero Guan Yu. City Management: Take over territories, create new encampments, and help raise them into mighty cities. 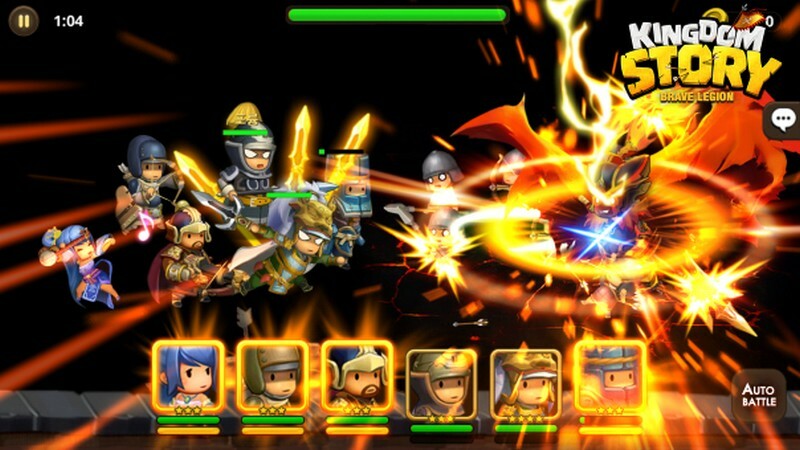 Appoint your warriors as governors to watch over your cities while you're away taking more land for your kingdom. 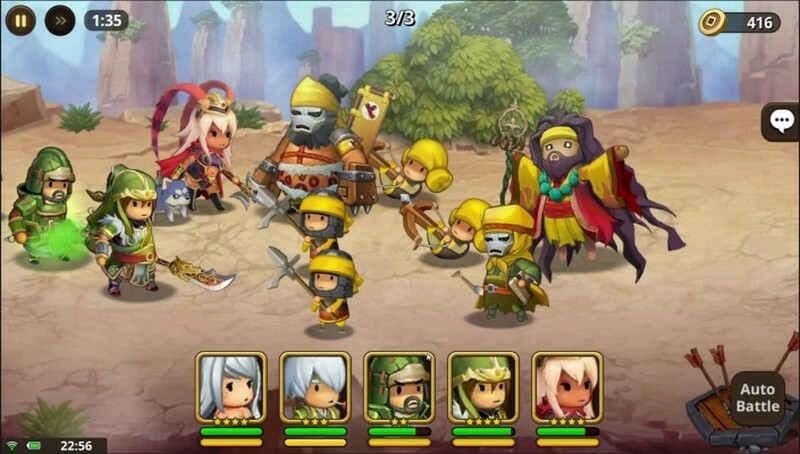 PvP Battles: Strategically devise your battle formation from different kinds of units, using their unique skills and abilities in different combinations to secure victory!